Spotify is a familiar term for all the music enthusiasts as the service allows streaming of your favorite tracks. Though there are many other services like Tidal, Rhapsody, Rdio and others which offer similar type of music streaming services, but Spotify can be easily judge the dominance in this segment. Things now seem to take a different route in the coming time with Apple launching its latest music streaming service – Apple Music. 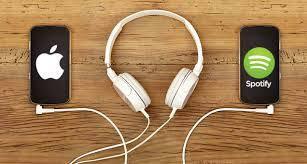 The entry of Apple in the competitive market of music streaming industry will surely make the competition even fierce. Apple Music was announced on 8th of June, 2015 at WWDC and now the services have been launched on 30th of June. The services are now available to be downloaded on PC, MAC system and iOS devices. Moreover Apple Music will be automatically available on the iPad and iPhone with iOS 9.0 update which is scheduled to be available in later part of this month. So for all the music lovers, making a choice between Apple Music and Spotify will definitely be a tough task. Both the services will leave no stone unturned to attract the potential users and to retain the existing ones. Below given is a comparison between Apple Music and Spotify that is surely going to make your task of selecting one a little easier. 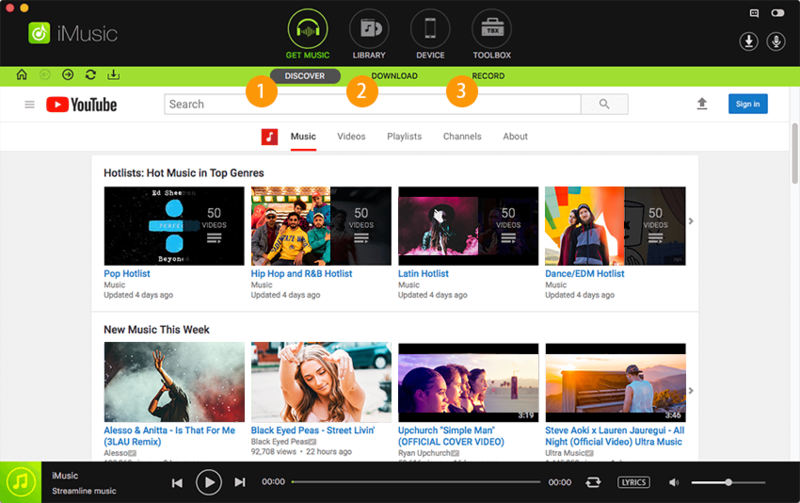 When it comes to music streaming services, music catalogue plays a very important role. 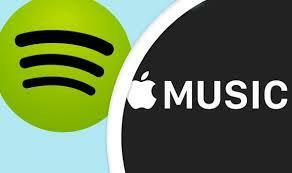 Talking for Apple Music and Spotify in present times, both of them seems to be at same platform with collection of around 30 million songs. 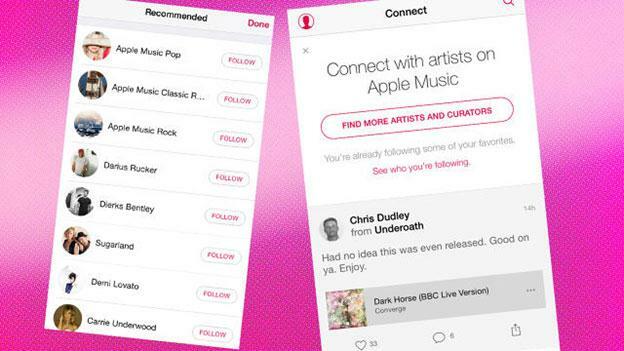 Though in order to attract the users, Apple Music claims that it will add more exclusive songs as well tracks from unsigned artists to their list. Both Apple Music and Spotify enables the user to supplement the streamed catalogs with their own music. Using services of Spotify one can include music files available on computer and also add them to the existing playlist. With Apple Music, which you have put up in your iTunes account automatically. But if you are a fan of Taylor Swift then surely Apple Music will win your hearts as they have managed to get him on their services. Price is also a major deciding factor while selecting a music streaming service. The services of Apple Music was launched on 30th of June and is available as a free update for the users of iPad, Mac, iPhone, Windows PC and iPod Touch. Once you update your software, the services will be available in iTunes on your PC and in Music app on the iOS devices. In order to attract the users, Apple Music will offer its services free of cost for three months, and £9.99 per month will be charged after that. For those who do not wish to put burden on their pockets, a free version of the Apple Music service is also available. But it will only come with Connect feature that will enable you to view or follow the artists but not play, save or like the tracks. Family package is also offered by Apple Music where 6 individuals can be a part of the package which comes for a price of £ 14.99 per month. When it comes to pricing, Spotify scores better due to its added features and facilities. 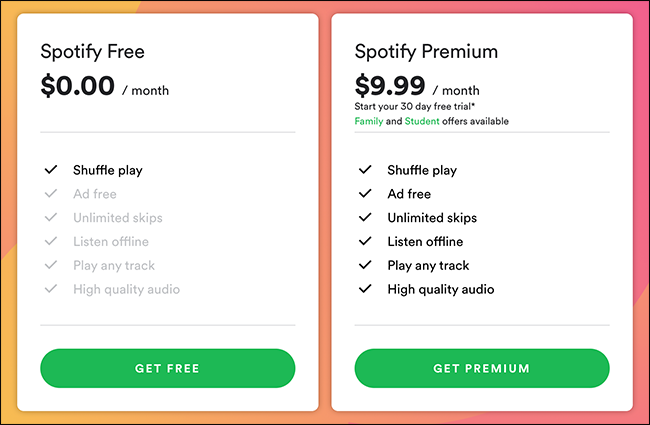 For all those users who do not mind compromising on the quality, Spotify offers an option of ad-supported streaming where users can stream a track for free but it will have ad content. When it comes to premium or paid services of Spotify, it is same as Apple Music- £9.99 per month. Spotify also has an option of family account where total of five members can be a part of the package that costs £ 29.99. A student discount of £ 4.99 is also offered by the Spotify for its premium subscription which definitely acts as a bonus point for this service. This was equally important for the music. For instance, Jimmy could not be beaten at guitar, and John Bonham produced the best drum beats. You will agree with me that each of their songs were just excellent. They will always be great artistic legendries in the contemporary music. Spotify can be considered to be a better option in terms of compatibility as there is a Spotify app supporting Mac, iOS devices, Windows phone as well as Android. Apple Music at present does not have an app for Android and Windows devices. Moreover, the app for Apple TV is also not expected very soon. Though radio services are available for Spotify as well as Apple Music, but both of them have different working pattern. 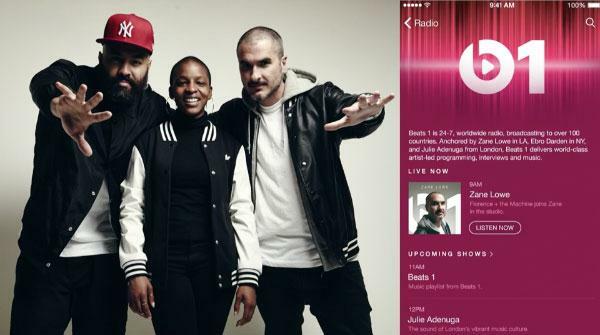 There is a live and 24X7 global radio station called Beats 1 at Apple Music which streams from LA, London and New York. In order to make the radio experience interesting and enjoyable, DJ’s are also hired by Apple Music. The Apple Music Radio stations also provides option to the users to go for the music based on various genres, and thus you can even skip few songs in order to tune to the stations. Though there is no live radio for the Spotify services, it enables the user to create their own radio stations on the basis of favorite songs, artists, genres, albums and other criteria, and the songs will match them. Thus the radio station services by Spotify are on demand and enable you to enjoy nonstop music round the clock. Moreover, you can even make the Spotify understand you choice by up voting or down voting the songs. Spotify and Apple Music both tries to understand the preferences of its users, but take a different approach to do the same. Recommendation from the Beats Music is taken by Apple Music in order to understand the user’s preference and suggestions. 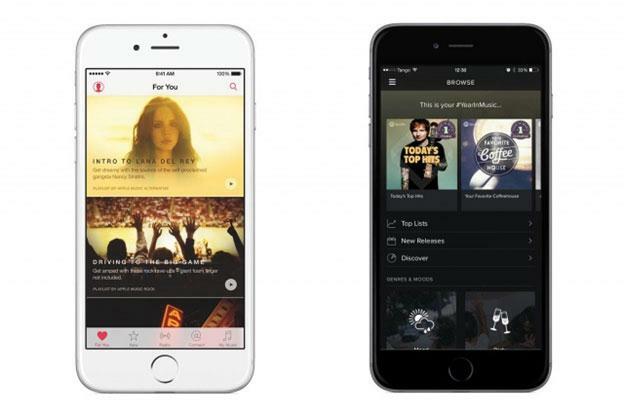 Apple states that along with algorithm, in order to pick the music and create a playlist. There is a "For You" tab in Apple music that fills up with your recommendations as you select tracks of your choice. The recommendations from Spotify are present in Discover section which is present in the Browse tab of the app. Spotify consider the listening history of the users in order to consider the recommendations. 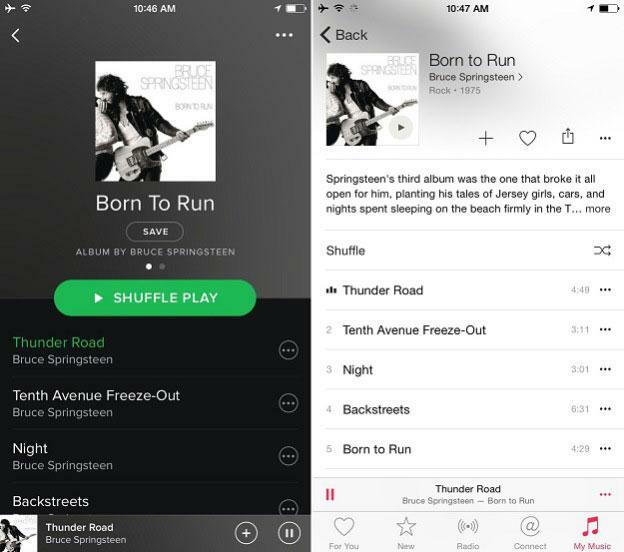 Besides the above given, there is a list of additional features present in both Apple Music as well as Spotify. The features of Spotify are more focused on enjoying music in various situations, while for Apple Music it is more related to being connected with your favorite artist. The features of Spotify are designed in such a manner so that it enables you to enjoy your favorite tracks from the comfort of your home as well as in neighborhood. There is a new feature called "Running" that finds out the tempo at which you are running, and thus play the music which matches with the speed. One song after the other keeps fading into each other so that you can maintain your tempo and is motivated. The built-in tools of Spotify also enable the user to enjoy their favorite tracks through external speakers. Spotify also allows integration with Facebook and other social networking sites so that you know what your best buddies are listening to and even follow them. You can even share selected songs with your loved ones through mails, WhatsApp, text message and various social networking platforms. In Apple Music, the Connect section besides providing music based services also acts like a social networking platform where artists can share their lyrics, images, videos and other contents with their fans. As a user, you can even like and comment on these contents. Apple also claims that in coming times, its service will act as a platform for the new artists to introduce as well as promote their music. 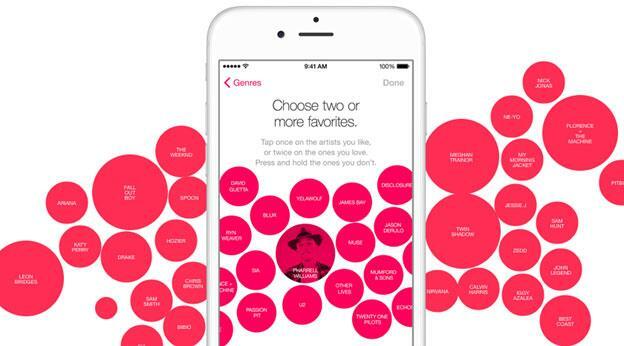 Apple Music allows sharing of songs or a playlist only through AirDrop, text, Facebook, twitter and email. There is no option in Apple Music to socially connect with your best buddies. When it comes to user interface, both Apple Music as well as Spotify has a simple looking design. But when you will actually work on both the services, you will find the actual difference in their use, where Apple is bit complicated in features while Spotify offer smooth functioning. Both the services come with 3 buttons which represents artist, album and track or a title starting from the far right. Each of these three buttons has a menu with various options. There is no doubt about the fact that Apple Music and Spotify are very similar in various aspects, but it is also true that both offer many different set of services as well as experience. 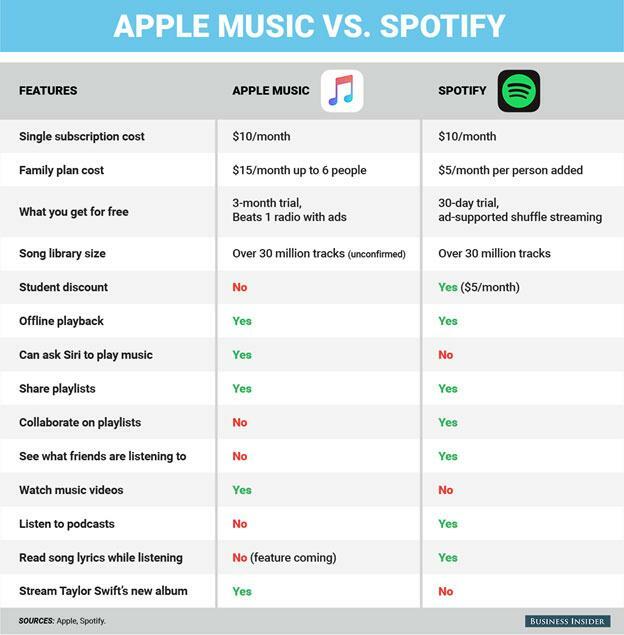 It will be too early to judge or compare both the services, as Spotify has set its foot in the field while Apple Music is just a new member. For all the music lovers who are already using the Spotify services can give a chance to Apple by enjoying their free services for three months. If they find it better as compared to Spotify, they can opt for their subscription else doors of Spotify are always open.